I arrived, I am fine, I am in a good Hotel for 500 Gourde. 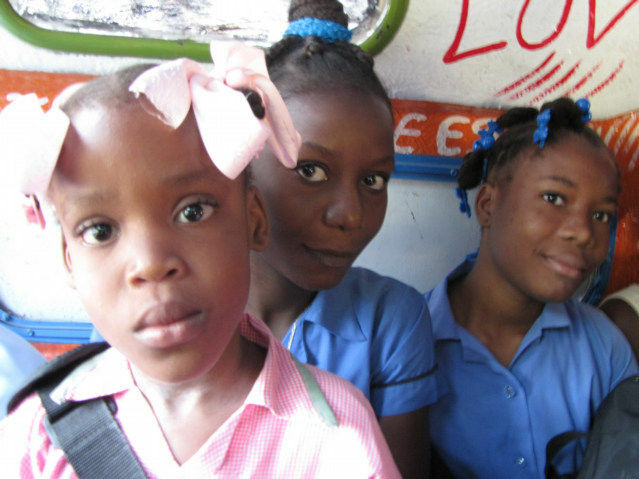 The trip from Les Cayes, Haiti to Miragoane, Haiti was great, it was early in the morning, the temperature was cool and the Tap Tap was full of schoolchildren. 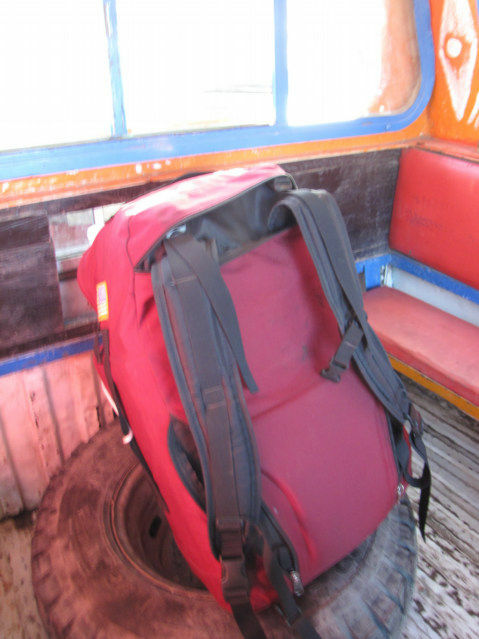 The driver takes me to a Tap Tap, one of them small Toyota trucks, the driver throws my bag in the back and away we go. I am glad I did not think, I would have gone to the bus stop. The locals know how to send me to Miragoane, why do I need to get involved. 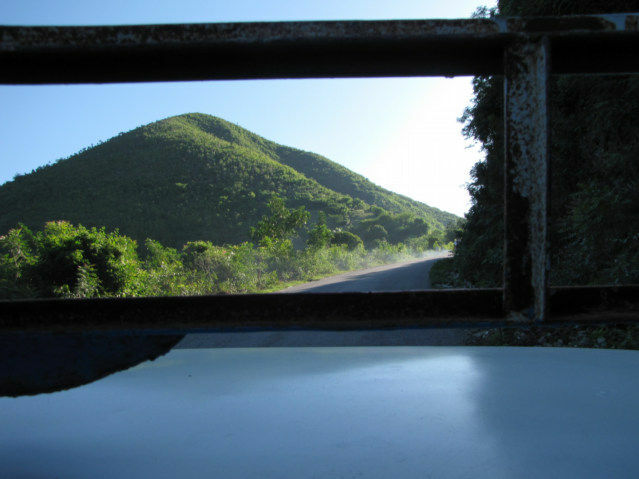 A view of the small mountains of Haiti, as I looked out over the cab of the truck. 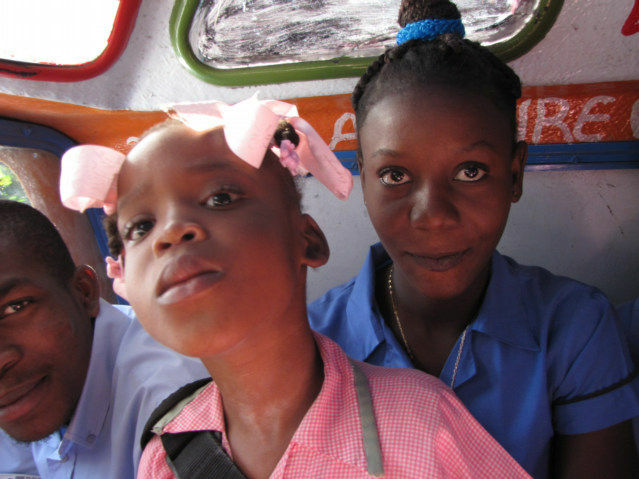 Many small children entered the truck, as many as 25 people crowded in the back, it was up close and personal. Haiti people touch, they are not shy, many small children came and stood next to me, looked around, then pretended they were not close. Then accidentally put their hand on my leg for support and forgot to let go. This is a nice change of love after Asia, where to touch someone in public is almost taboo. 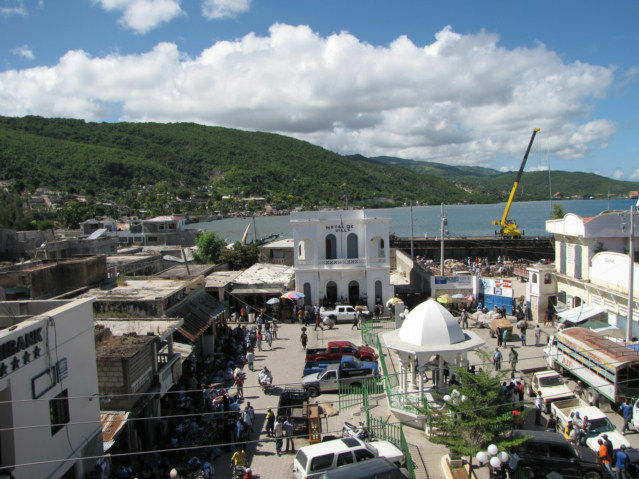 This is the town square of Miragoane, Haiti, complete with a gazebo, the Mayors office located in the Hotel de Ville. 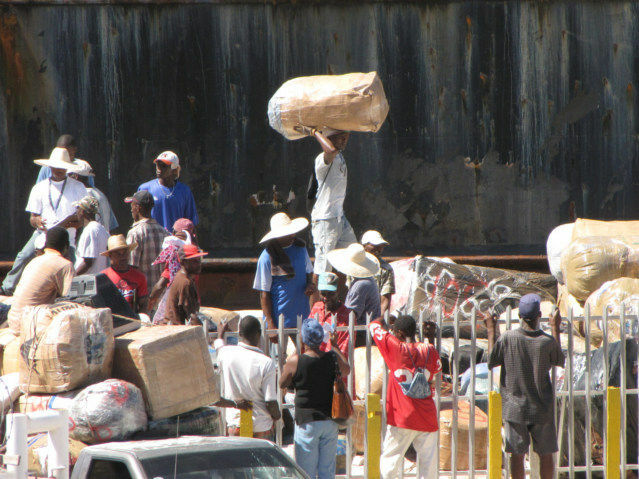 This city surrounds a harbor where large ships come to unload their goods. I can watch the ships from the third floor of the Eben Ezer Hotel. 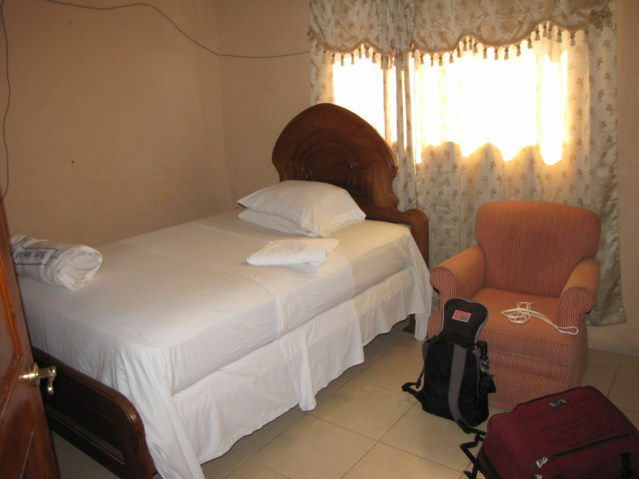 Just to let you know I am not living in a slum, this room with shower and toilet, fan is 500 Gourde, negotiated down from 700. I am a protesting Christian. Stats are crap on denominations. I have on saw one Vodoo thing and just a sign not a practice. I would guess 50 percent Catholic and 50 percent missionary induced Protestants.